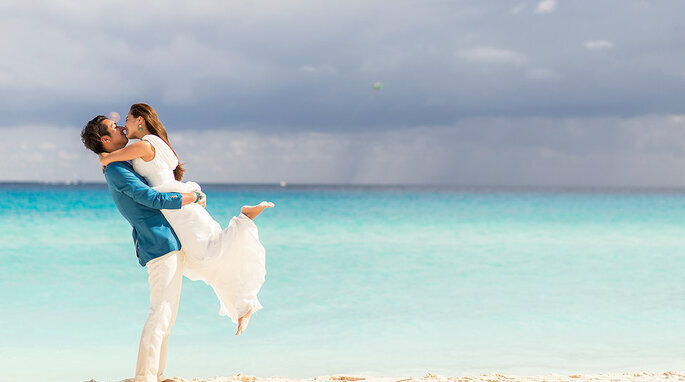 Marry on one of the best beaches in the world, and get your marriage off to the best kind of start! Read more about getting married in Mexico now. Mexico’s brightness is so blinding that, indeed, it seems a dream to think of a wedding on its shores. And, as hosting a destination wedding grows in popularity, so does the demand for secluded tranquil beaches. 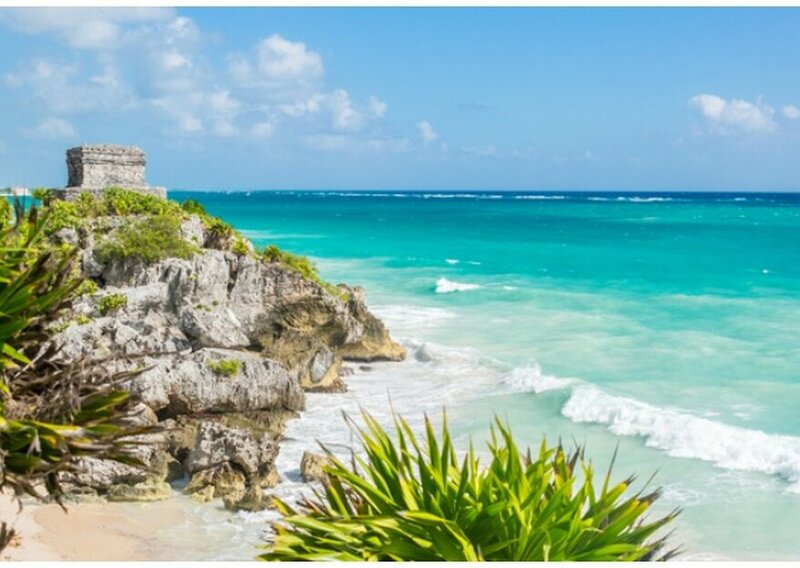 No doubt then, the Riviera Maya and Cancun, two precious corners of Mexico, could be the perfect place for you to say your ‘I dos’ this year. The name of the hotel is a reflection of the waters that bathe the surroundings of the complex in the heart of the Mexican Caribbean. In this enclave, the hotel boasts the best services to organize unique weddings. Are you looking for a movie enclave? In these lands, fiction becomes reality. No, really! 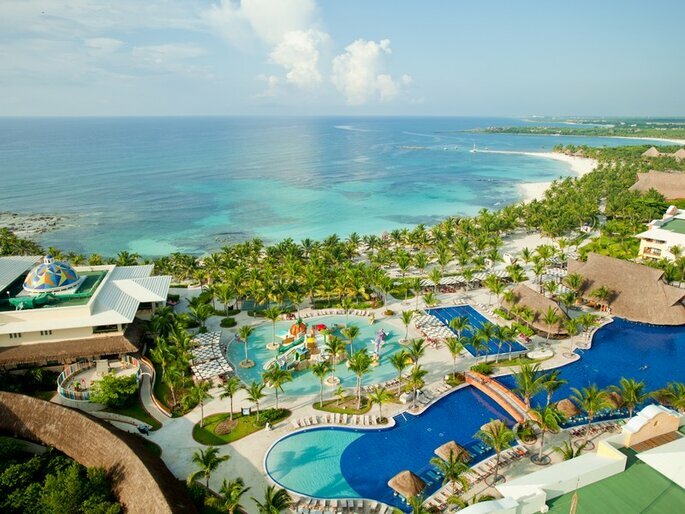 The immensity of the crystalline Caribbean waters is the most notable aspect of this exclusive Riviera Maya hotel. 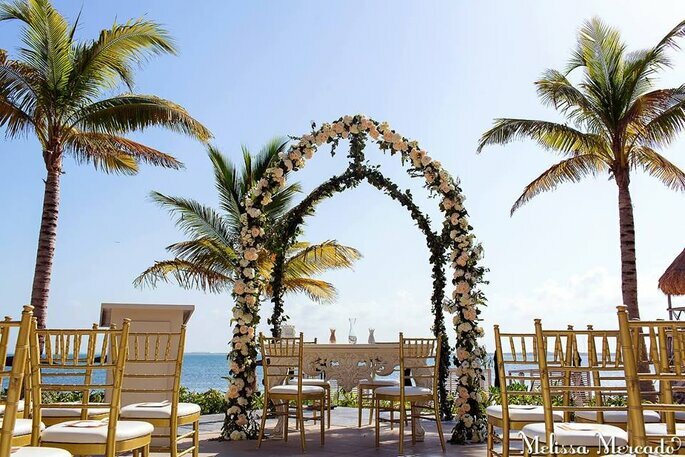 In this paradise, the sky and the sea merge into a natural marriage, ready to welcome your nuptial union. Say your ‘I dos’ on one of the most beautiful beaches on the planet and let yourself be captivated by the luxury and comfort of its exclusive facilities. Enjoy its six restaurants (all with ocean view), five bars, swimming pools, chapel for the religious ceremony, a theater and all the services to carry out the best reception of your wedding, including some special packages for the occasion. Inside the complex, the perfect mixture between modernity and Mexican culture is produced; the past and the present come together and form a spectacular whole. 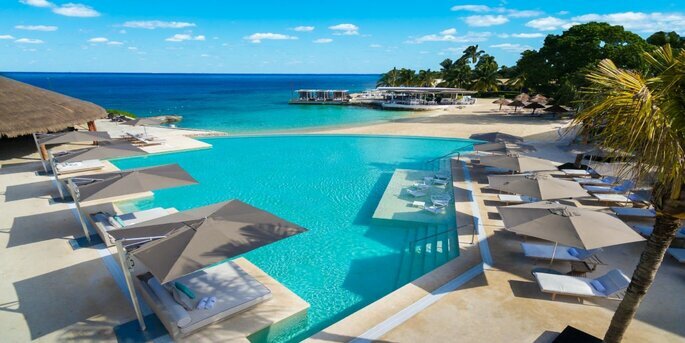 Outside, nothing more and nothing less than the Caribbean Sea. To marry here is to taste the honey of paradise. 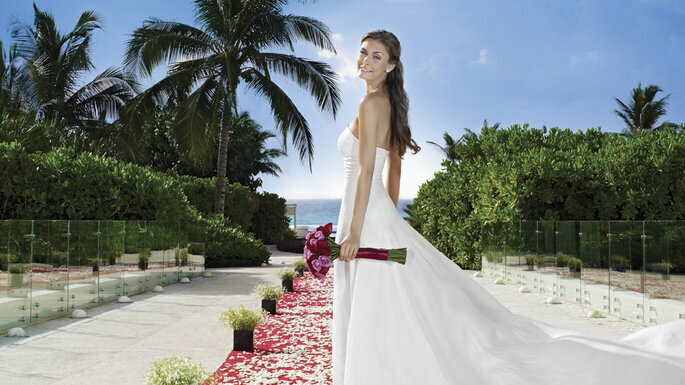 Complete the idyll with the best advice, personalized service and maximum attention to every detail of your wedding. 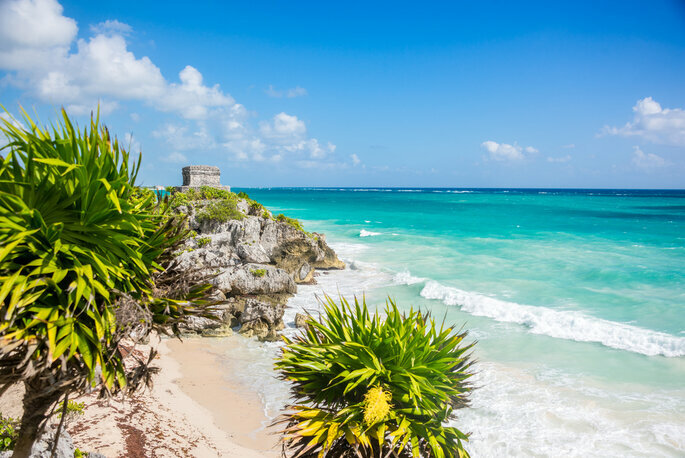 If you are looking for luxury, the answer is hidden in this corner scattered in four large Mexican locations: Cancun, Riviera Maya, Isla Mujeres and Cozumel. Take advantage of the different bridal packages offered with the best for fairytale weddings: religious ceremony on the beach, furniture with first class design, avant garde style chairs, bridal bouquet, boutonniere for bride, wedding planner and various complementary services. An extraordinary space for top-class parties. The combination of beach and nature is perfect for designing incomparable backdrops for your special day. On the sand and among the palm trees, feel the murmur of the waves and relax. On the other hand, its facilities have been decorated with a contemporary design based on spectacular colors. The gourmet cuisine offered is another addition that steals the heart and palate to honeymooners and guests, and its more than 247 suites and villas offer the perfect place to rest your head after a busy day. 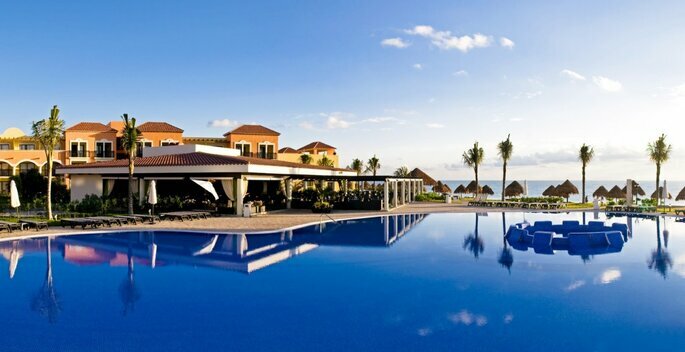 With the intention of taking advantage of its unique spaces, the pool with terrace facing the sea, its garden or its intoxicating beach are the main places to start the adventure of marriage. In addition to this, the work of its reputed team leaves no detail at random. Still do not think possible a wedding on the beach? Although it has always seemed like a fantasy, starting life together from the edge of the sea is more than feasible. Keep in mind these idyllic spaces and celebrate your love as they send the canons!